(CNN)The attack on one of Barcelona’s historic streets Thursday is the latest in a series of vehicle ramming incidents in the West that have killed 129 people since 2014. At least 14 people were killed and 80 injured when a van, which witnesses said was traveling at a high speed through the tourist area, mowed down people in Barcelona. Since 2014 there have been 14 vehicle ramming attacks in the West, according to a count by New America, a nonpartisan think tank. Like school shooters, terrorists learn from other attacks. Vehicle attacks have become a method of choice for terrorists in the past three years since they require no training or expertise and they inflict just as much terror as more conventional tactics such as bombings. Three years ago, Abu Muhammad al-Adnani, ISIS’ spokesman, called for attacks in the West using vehicles as weapons. The most lethal response to this call came in Nice, France on July 14, 2016. A terrorist killed 84 people when he smashed his truck into crowds celebrating Bastille Day, France’s revolutionary anniversary. The large majority of these vehicle ramming terror attacks have been ISIS-inspired, but the tactic has also been recently adopted by terrorists motivated by other ideologies. On Saturday, a right-wing extremist killed a woman when he rammed a car into a group of people protesting a white nationalist rally in Charlottesville, Virginia. Vehicular attacks are not entirely new. 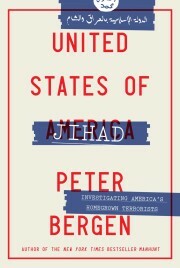 The Yemen-based al Qaeda in the Arabian Peninsula called for such attacks in 2010, in its English-language webzine, Inspire. In 2006, Mohammed Taheri-Azar injured nine people when he drove a Jeep Cherokee into a crowd on the University of North Carolina-Chapel Hill campus. Palestinian terrorists have also made frequent use of the tactic. But what is new is the frequency of these vehicle-based attacks. ISIS’ official news agency, Amaq, has claimed the Barcelona attack as having been carried out by “soldiers of the Islamic State.” This is a formulation that ISIS uses when militants inspired by ISIS but not trained by the group have carried out an attack. As yet, there is no independent corroboration of this claim. Spain has not seen a jihadist terrorist attack since the multiple bombings on Madrid’s commuter train system that killed 191 people in 2004. Spain also has been somewhat insulated from the strain of ISIS-directed and ISIS-inspired terrorism that has plagued other European countries such as France, Belgium and the United Kingdom. That is in part because Spain has not experienced the large numbers of “foreign fighters” drawn to fight with ISIS that other European countries have. France has accounted for an estimated 1,500-plus fighters for ISIS. French authorities in July said that 271 of those ISIS fighters had returned to France. According to a 2015 estimate by The Soufan Group, which tracks foreign fighters, the total official number of fighters from Spain who had traveled to fight with ISIS was 133, and a high end unofficial estimate was 250. In the wake of Charlottesville and Barcelona, many will be asking how to prevent such vehicular attacks in the future. The sad truth is that, given the vast number of potential targets and the ease with which these attacks can be carried out, there isn’t much authorities can do other than to restrict traffic around high profile events and highly symbolic targets. The key to preventing future attacks is enlisting peers and family members, who are often the first to detect radicalization and plot planning, to inform authorities of their concerns.